Opening to Connection: Animal Communication Basics. In this beginning Animal Communication workshop we will learn the basic tools of animal communication, look at what is blocking us from communicating, psychic hygiene to keep your channel open and clear, ethics around communicating, and self care practices to keep you healthy, open, and grounded. 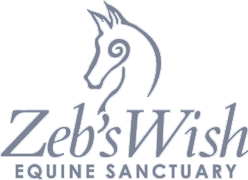 We will also have lots of hands on practice with the beautiful Zeb’s Wish herd as well as with your own animals. Taught by Victoria Kress. Usui Reiki Master, Certified Animal Reiki Teacher/Practitioner, and student of Kathleen Prasad, founding pioneer in the field of animal Reiki. Victoria is a teacher member of Shelter Animal Reiki Association (SARA). Zeb’s Wish is a sanctuary member of SARA. Early Bird registration $300 until March 4, 2019 for the class in Oregon. 25% of proceeds donated to Zeb’s Wish Equine Sanctuary. Early Bird registration $200 until April 1. After April 1, $250. Full details of this class and to register. PREREQUISITE: must have at least Reiki I in any lineage. Early Bird registration until April 1, $350. After April 1, $400.